Purchasing a SIM card in Hong Kong is a great option to enable easy and convenient access to the internet. Data access is now almost an essential requirement both in and out of our homes. We wrote this article to save you time and help you choose the sim card for Hong Kong that best meets your needs. Instead of spending ages looking at lots of different websites before deciding, we compare some of the best Hong Kong sim card options from a number of reputable providers in the one article. Disclaimer: This article contains affiliate links. If you book after clicking on one of these links then we may receive a small commission at no extra cost to you. As an Amazon Associate we earn from qualifying purchases. If you are looking for fast, secure and reliable internet access, a Hong Kong Sim card is a great option. Another excellent choice is to purchase a wifi device. Click here if you want to find out more about our suggested Hong Kong Pocket Wifi rental devices. We always use sim cards and pocket wifi devices when we travel. Pocket wifi routers are small, light-weight battery-powered gadgets that fit in the palm of your hand. They use cell phone networks to create a hot spot which lets you connect your phones, iPads or tablets, laptops and other devices to the internet. On our recent trip to Hong Kong and South Korea, our family of 5 (2 adults and 3 kids) between us had 4 mobile phones, a couple of laptops and an iPad. While in Hong Kong we ended up using a mix of sim cards and wifi devices. Both products have their advantages and disadvantages. SIM cards are often better if there are only one or two of you, don’t have to connect too many devices and are looking for something slightly cheaper. They are also great if your group won’t always be together when travelling which is happening to us more often as our kids got older. In contrast, we recommend pocket wifi devices if you are travelling in a group of more than a couple of people, need to connect multiple devices, need higher data allowances and want ease of setup. Later in this article, I will also look at three other options for staying connected: free public wifi, global roaming, and internet provided by your accommodation. The table below compares our recommended products by cost, speed, data allowance, and how long the sim card can be used to help you decide which option is best for you. Below this comparison table, we provide pick up details for each of the products. Pricing was accurate as at 24 January 2018, however the price will change over time due to factors such as exchange rates. We will periodically update the article to reflect the latest prices. ⓘ TIP: We recommend setting up the SIM card in your phone and making sure it works before you leave the service counter where you picked up the SIM card from. If there are problems, the staff at the service counter can assist. If you have a SIM card delivered or set it up yourself after you leave the service counter, you may find yourself with a SIM card that doesn’t work and it is then a pain to sort out. Hong Kong is used as a gateway for visiting Macau, and thanks to the fast train, Hong Kong is also an excellent gateway to China. Therefore, we also look at a SIM card option for Macau as well as various cards that cover Hong Kong and Macau or Hong Kong and China. When in Hong Kong, we used the China Mobile Hong Kong Tourist Sim Card and were very happy with its reliability and speed. On our return, we discovered the CSL Traveler Sim Card. At its price, it represents excellent value and has very good reviews. We are planning to use this product on our next trip to Hong Kong. Can be refilled at China Mobile stores or with a prepaid voucher at 7-11 stores. This card is mainly for use in Singapore. It includes 1GB of roaming data for use in 17 countries including Hong Kong, Macau and China. Valid for 7 days or until data is consumed. 8 days unlimited 4G data. Speed drops to 128 Kbps after 4GB of use. 15 days unlimited 4G data. Speed drops to 128 Kbps after 4G of use. The SIM card for Hong Kong and Mainland China discussed below is the same product but it can be purchased in a number of different ways. It can be purchased through Klook for Taiwan home delivery, through KK Day for delivery in Malaysia, or through Amazon for international delivery. This product can be shipped internationally through Amazon. Click here to book through Amazon. Below are the pickup locations for Hong Kong Sim Cards. You can pick up the China Mobile Tourist Sim Card at Hong Kong International Airport from Counter A13, Arrivals Area, Terminal A between 7 am and 11 pm. You can pick up this SIM card from the counter in Arrivals Hall A at Hong Kong International Airport Terminal 1 between 9:00 am and 11:59 pm. This SIM card can be picked up from UOB Currency Exchange Counters located in the Public/Baggage areas in Terminals 1, 2, 3 and 4. It can be collected 24 hours a day. Below is where you can pick up the Sim Card for Macau. You can pick up this Sim card from the Bengseng Travel Counter at Sheung Wan Macau Ferry Terminal. 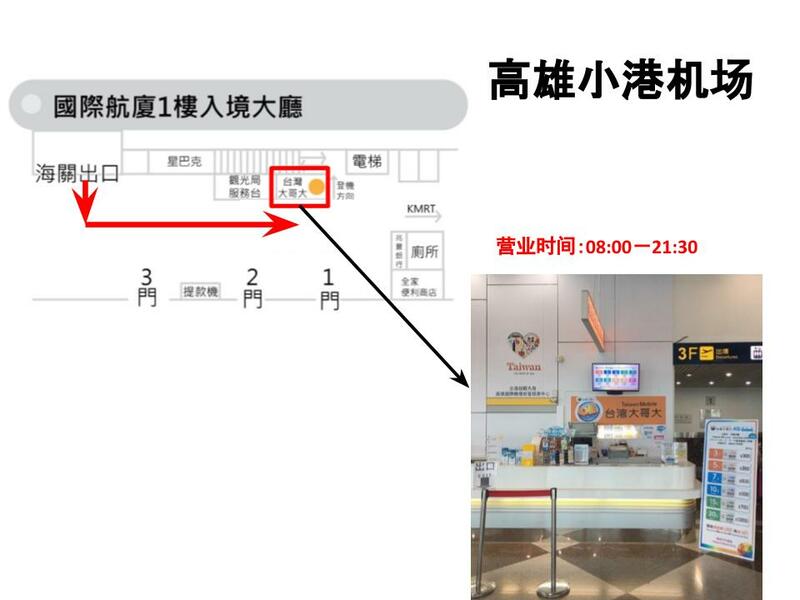 The terminal is located at Shun Tak Center, Connaught Road Central, Sheung Wan. You can get there by taking the MTR to MTR Sheung Wan Station D Exit. You can pick up the Sim card between 9:00am to 1:00am. Following are the pickup/delivery details for the Hong Kong and Macau Sim Cards. This card is delivered to your address in Malaysia. You can pick up this SIM Card from Suvarnabhumi Airport (BKK). The Klook Counter is located on B Floor, RC6 (next to Airport Rail-Link Station). Opening hours are 8:00am-11:00pm daily. This card can be delivered internationally through Amazon. Check first if Amazon delivers to your country. The SIM card for Hong Kong and Mainland China discussed below is the same product but it can be purchased through different providers. This card can be delivered to your address in Taiwan. This card can be delivered to your address in Malaysia. It can be hard to work out how much data you’ll need when travelling overseas. Here’s a handy calculator to help you work out how far particular data allowances will get you to help you choose a product that won’t run out or be slowed down to a snail’s pace. You can rent SIM cards once you arrive in Hong Kong. Here’s a list of places where you can buy a SIM card when you arrive. Although you can purchase a SIM card when you get to Hong Kong Airport, there are several benefits to booking one online before you arrive. First, while not common, during peak periods supplies can run out if you wait until you arrive. Second, it’s time-consuming. You’re likely to arrive in Hong Kong exhausted. It’s not a great time to compare the SIM card options at various counters particularly when faced with long queues. If you book a SIM card online you can do your research from the comfort of your home, then simply pick up the device when you arrive. Third, the cost of buying a SIM card when you arrive at Hong Kong airport can be higher compared to buying online, particularly when companies such as Klook, Voyagin and KK Day offer coupon codes. Fourth, when you book a SIM card online, conversion to your home currency is done for you. When buying a SIM card at Hong Kong airport, you have to do currency conversions on the spot to compare products and work out the best deal. Buying a tourist sim card or renting a pocket wifi is cheap and it’s easy. For our family, such a low price makes buying a SIM card or renting a pocket wifi device an easy choice. There are three other main ways to get internet access that may be worth considering. Here’s an outline of these choices including a quick summary of their positives and negatives. If you need basic internet access at no cost in Hong Kong free wifi is a reasonable choice. Hong Kong is one of the most connected cities in the world. The Hong Kong SAR Government has set up a common public wifi brand called Wi-Fi.HK which makes it quite easy to get internet access. To be part of this program, organisations must provide at least 30 minutes of free internet access, make sure you don’t need to register and that you don’t have to provide personal data. This common wifi brand means it won’t be hard to find free internet access. Our main issue with free public wifi hotspots is security. We wouldn’t feel safe using any website or app which involves personal data when connected to a free public wifi hotspot. Anything that involves banking, credit cards, email, social media may place your sensitive personal information at risk if you use a public wifi connection as it may be unsecured. From our perspective, saving a few dollars a day isn’t worth it compared to the risk involved. Here’s an interesting article which looks at the risks associated with free public wifi. Other issues with free wifi connections include having to look for public hotspots, low-speed connections, small hot spot coverage areas, and restrictions on how long you can use the hotspot. When travelling, we don’t want to have to deal with these issues. We want to spend as much time as we can enjoying ourselves. Many hotels and other accommodation providers offer free wifi to their guests. This is great when you are at the hotel but it’s not very helpful when you step outside. Some hotels also offer pocket wifi units which you can take with you. Another option we have some seen is that some hotels offer smartphones such as Handy smartphones which you can take with you to access the internet. If your accommodation offers pocket wifi units or smartphones, find out a bit more about what they offer before you get there to make sure it meets your internet needs. When you travel to another country, you can turn on global/international roaming through your phone settings. When turned on you can make and receive calls, send text messages and use mobile data. Note that when do you this you will be connecting through a foreign mobile carrier’s network. Your home network sets up roaming agreements with overseas carriers and costs can vary a lot from cheap to eye-wateringly expensive (e.g. $3 per MB of data used). We have heard stories of people going home with data charges costing thousands of dollars. Most mobile phone carriers now also offer international data packs to help costs under control, however they are not always good value for money. To provide one example, Telstra (an Australian phone network) offers international day pass which cost $AU 10 for 200MB of data per day. Verizon (an American cell phone network) has a travel pass which costs $US 10 per day. This travel pass lets you use your domestic data allowances but only the first 512MB per day is high speed then speed drops to very slow 2G speeds. Definitely check out global roaming options through your phone provider before you travel to Hong Kong and then compare it with the cost of a Hong Kong Sim card. Often the SIM card will be cheaper and/or you will get more ‘bang for your buck’. For example, many of Hong Kong SIM card options in this article will cost you less than $US 1.50 per day. Next articleHeading to Japan? Want to Buy the Cheapest Japan Rail JR Pass? Read This.